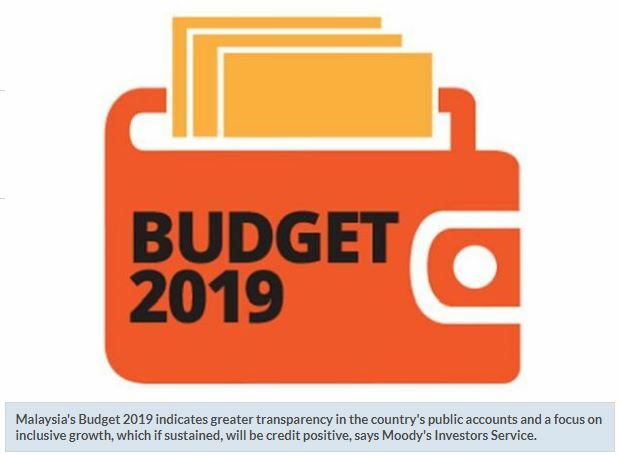 The budget targets a fiscal deficit of 3.4% of GDP for 2019, slightly narrower than the latest official estimates of 3.7% for 2018. In 2018, higher dividends from state-owned oil company Petroliam Nasional Bhd (Petronas, A1 stable) will not bridge revenue losses from the switch to a Sales and Service Tax (SST) from the Goods and Service Tax (GST) and higher spending on fuel subsidies and salaries and emoluments. “The achievement of a slightly narrower deficit target of 3.4% of GDP in 2019 hinges on cuts in operating and development spending, and the government will also draw on a special, one-off dividend from Petronas to pay past refunds owed from input tax credits on GST,” it said. “By Moody’s calculations, government debt will edge up to 51.1% of GDP in 2019 from an estimated 50.6% in 2018.